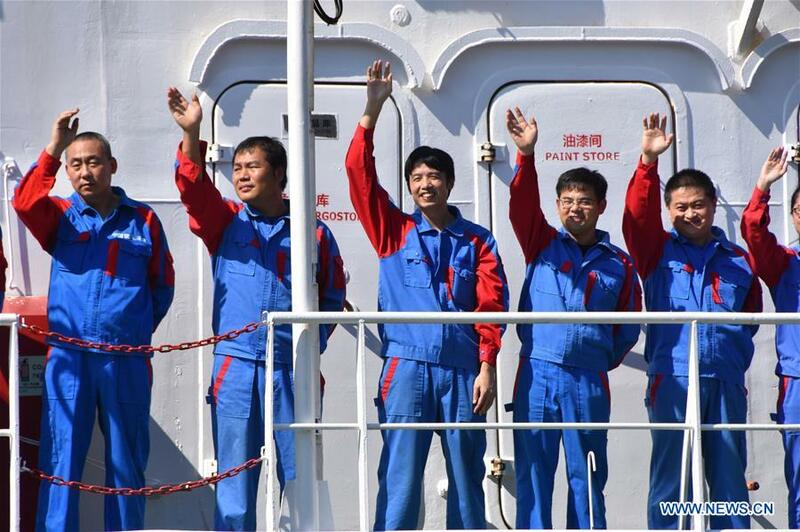 A team of 59 Chinese researchers returned Tuesday to Sanya in southern Hainan Province from the Mariana Trench after completing a 54-day, 7,292-nautical-mile deep-sea research mission. Researchers have achieved fruitful results in a mission that includes a deep-sea equipment test and scientific research in disciplines such as geophysics, marine geology, geochemistry and marine biology, according to Bao Gengsheng, chief scientist of the expedition. During the expedition, two 7,000-meter-class deep-sea gliders operated continuously for 46 days, making it the only abyss-class glider in the world that can work continuously for that period of time. A magnesium seawater-fuel cell carried out two tests and became the first new metal seawater-fuel cell tested in the 10,000-meter abyss in the world. In addition, researchers also used a remote-controlled robot to complete a high-definition live-streaming 10,000 meters under the sea.